Now lovely, cuddly, friendly, wish-granting, politically correct, PG WWE doesn't want you to remember that. Unfortunately for them, we remember that. The Attitude Era is the most successful period in WWE history and the sole reason the company is still in existence to this date. However, that doesn't change the fact that it produced some particularly tasteless and downright awful moments that Vince McMahon would rather not have to defend during the next conference call with Mattel. 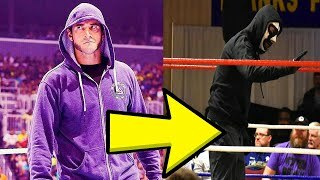 For every Steve Austin stunt with a Zamboni or a beer truck, there was a controversial segment which saw a woman stripped of her breathing dignity or a man faced with apparent impending death. 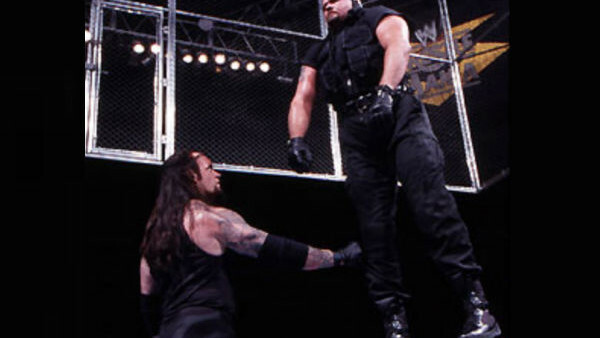 For every totally cool and dramatic promo cut by the demonic Undertaker there was a forthcoming crucifixion that completely skewed the balance. For every time D-Generation X made a hilarious knob gag there was... another time D-Generation X made a hilarious knob gag. This was WWE during the Attitude Era. An era where every week produced TV that was truly unforgettable. Too unforgettable. Abusive, offensive, obtrusive and repulsive, these are the Attitude Era moments WWE wishes you would forget.